The year was 2012 when Bajaj Auto increased its stake in KTM from 14.5% to 47%, and it was also the year when KTM 200 Duke was launched in the Indian market. When Bajaj decided to invest in a dwindling brand like KTM, a lot was at stake. Soon, the development started to show its colours, and in 2008 KTM and Bajaj announced that they were going to develop two new 125cc and 200cc mass-focussed motorcycles. Well, it seems that KTM hasn't stopped soaring post that. For the fifth year in a row, KTM registered an increase in growth over the previous year. To make things more interesting, KTM has also registered revenue of over €1 billion per year for the first time in its history. Overall, the Austrian manufacturer sold 1,80,801 KTM and Husqvarna motorcycles, which is 14% more than the units sold in 2014. These numbers also make KTM the fastest growing motorcycle brand in the whole world. A total revenue of €1.02 billion was registered; a growth of 18% over the calendar year 2014. This brings us to the most important question - how important is Bajaj's role in of this situation? According to us, Bajaj has everything to do with these numbers. The mass-seller Duke series is manufactured at Bajaj's facility in Chakan, and then exported to the world. Some of the markets which KTM-Bajaj exports the KTM 200 Duke to are: Europe, Australia, Nepal, Hong Kong, Korea, Japan, Philippines, Thailand, Malaysia, Singapore, Colombia, Mexico and Argentina. Manufacturing these bikes in India helps KTM to keep the prices low, and have a profitable margin when they go on sales in the international markets. 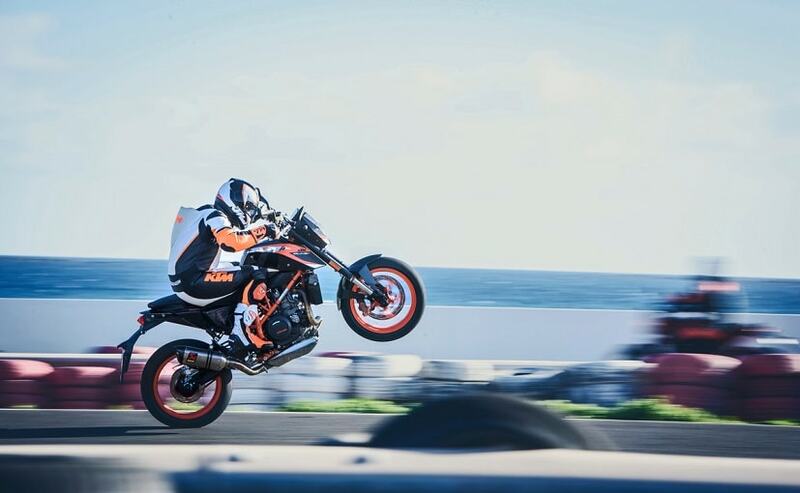 To put things in perspective, KTM sells the 390 Duke in the UK for £4,499 which equates to ₹ 4.35 lakh approximately. However, the same bike is available in India for ₹ 2.1 lakh (on-road). Good things have happened to the Indian market as a result of this merger. The launch of the 390 Duke was one such occasion. For the first time in the history, Indian market was able to buy a motorcycle with Upside Down forks, ABS, Metzeler tyres, a top speed of over 170km/h, and a world-class build quality. Well, whatever happens in the future between Bajaj and KTM, we hope that Indian motorcycle industry always benefits from.